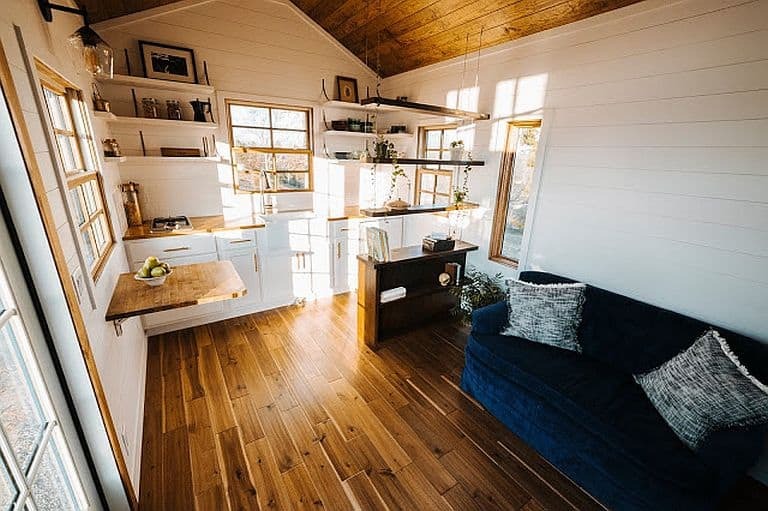 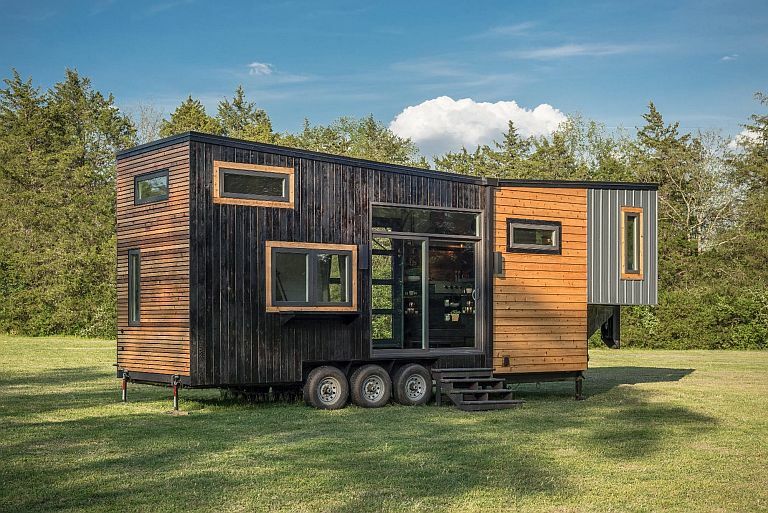 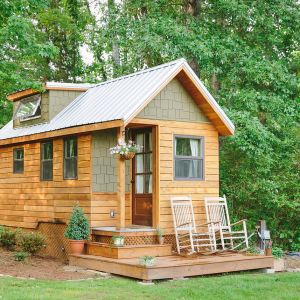 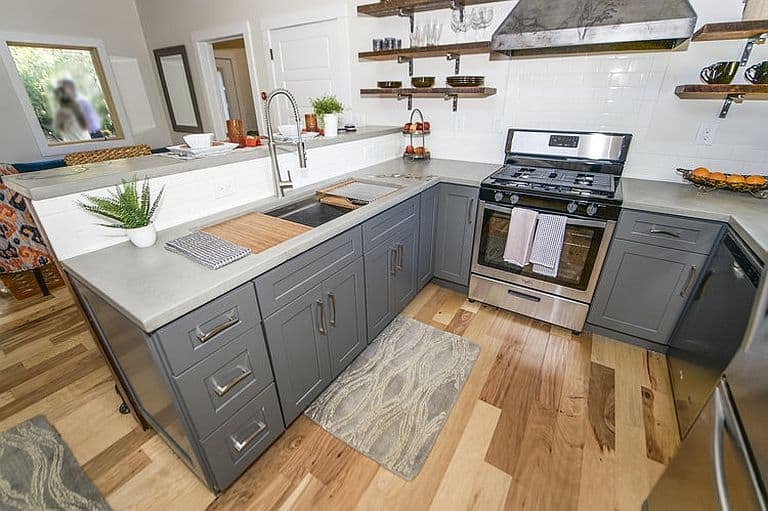 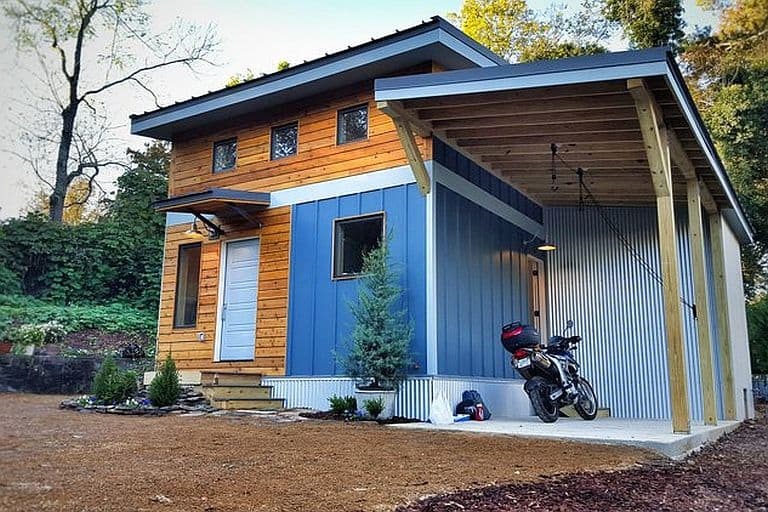 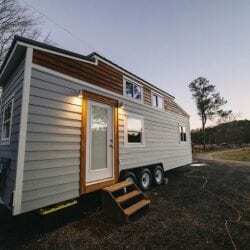 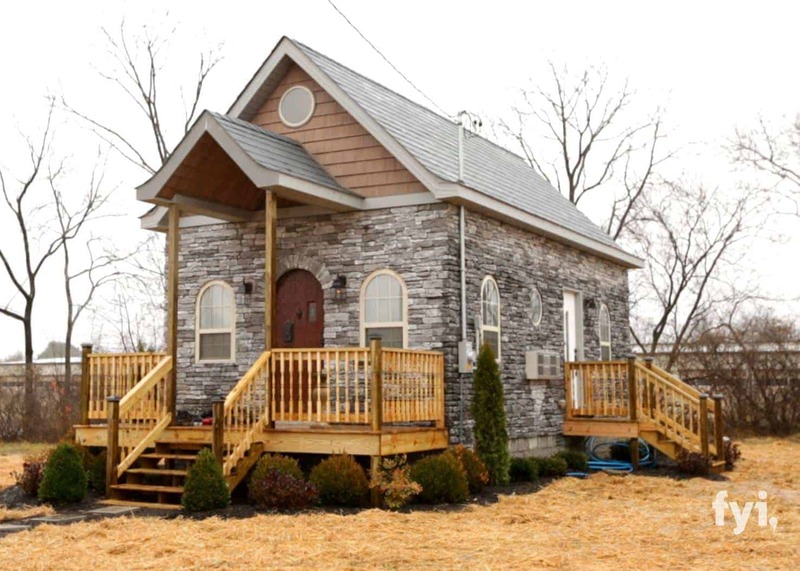 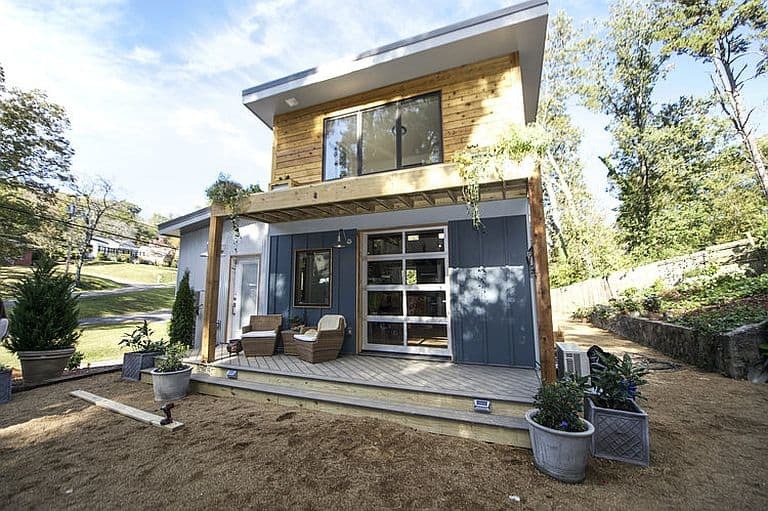 Wind River Tiny Homes are best known for their highly individualized THOW designs, such as the Rook and the Chimera, but they also do foundation houses for those lucky enough to live in the Chattanooga area. 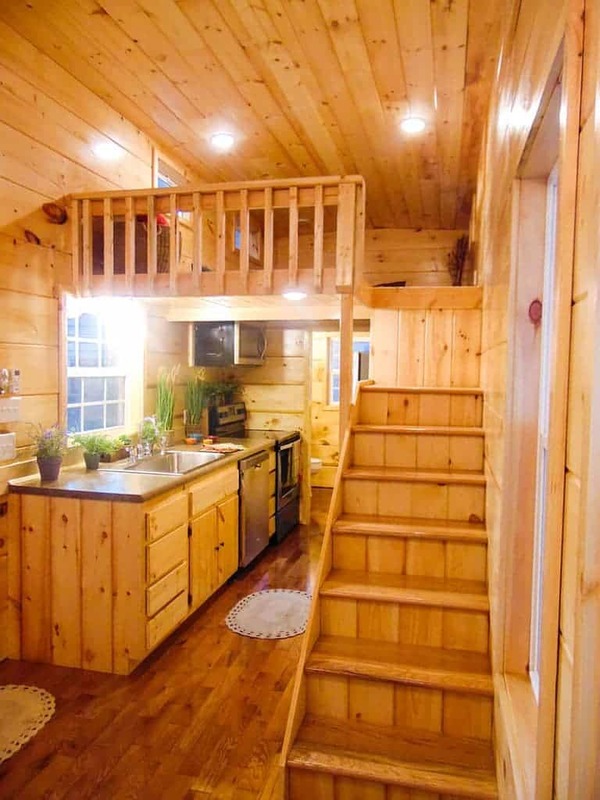 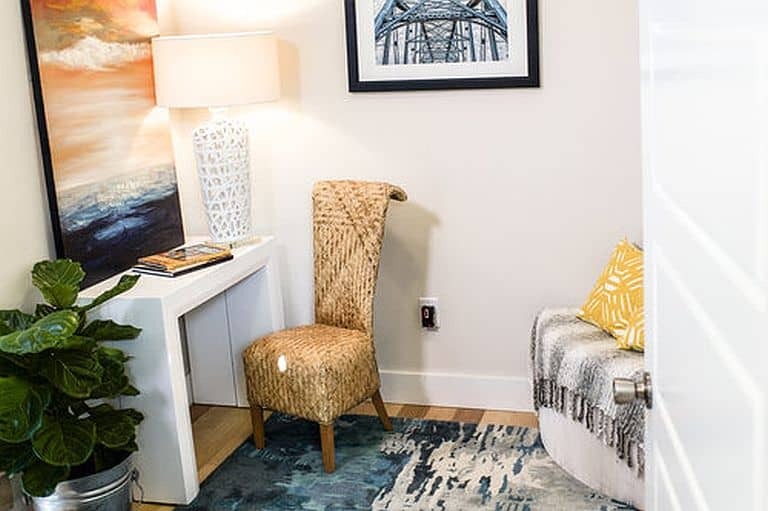 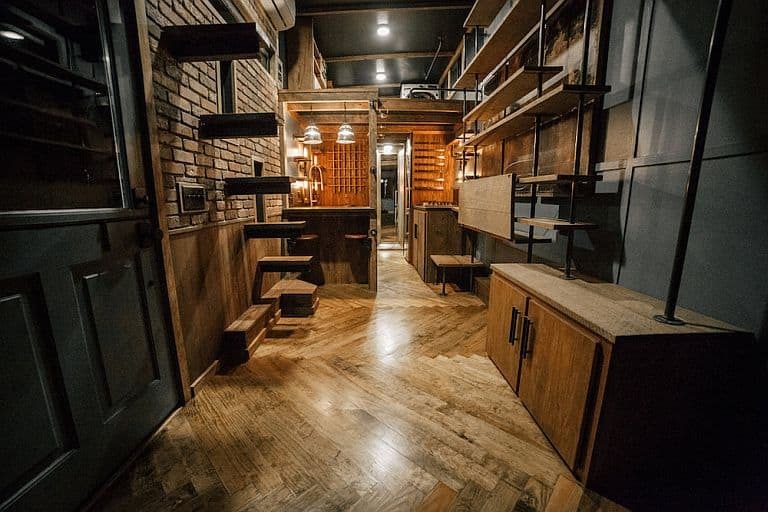 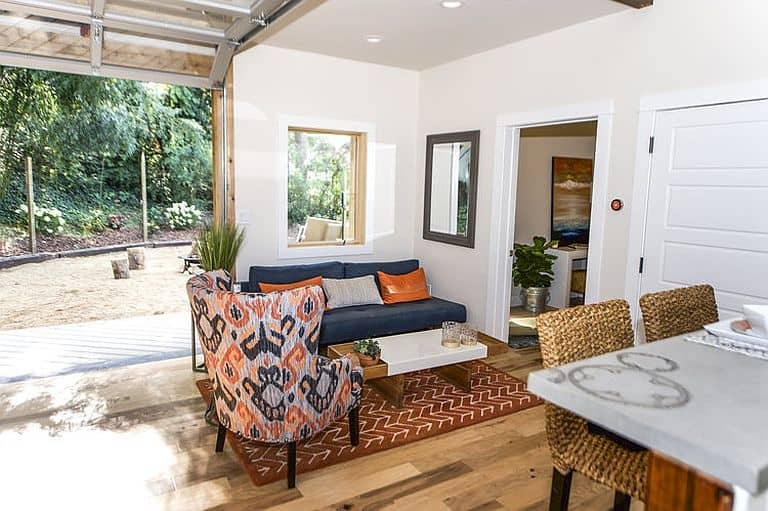 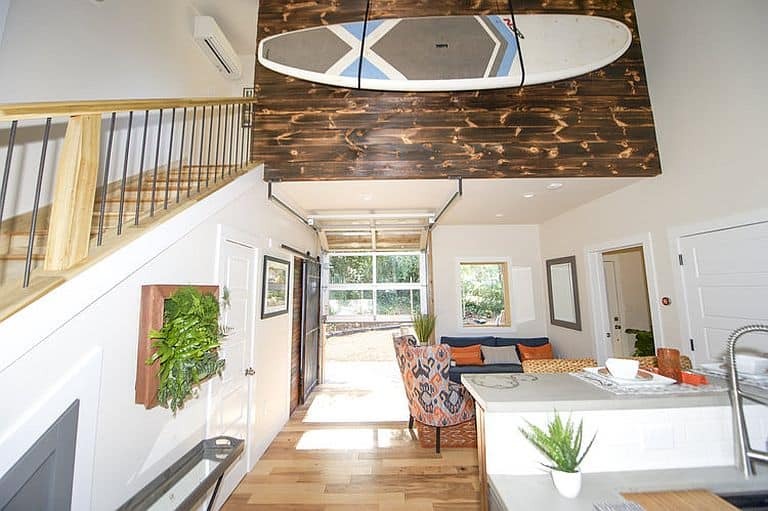 They call this one the Urban Micro Home (at 650 square feet, we’d normally call it ‘small’). 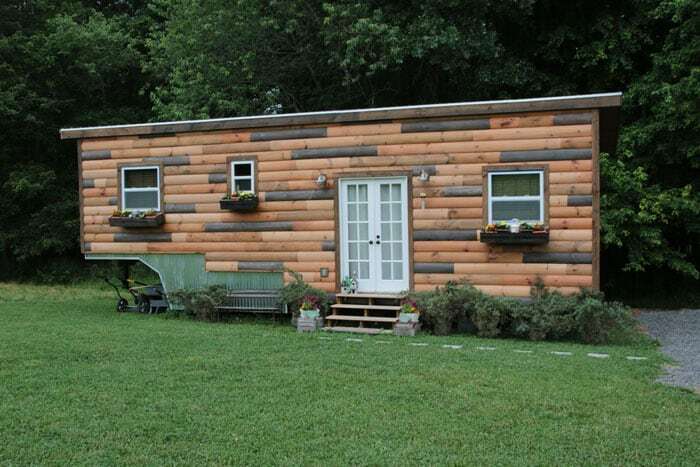 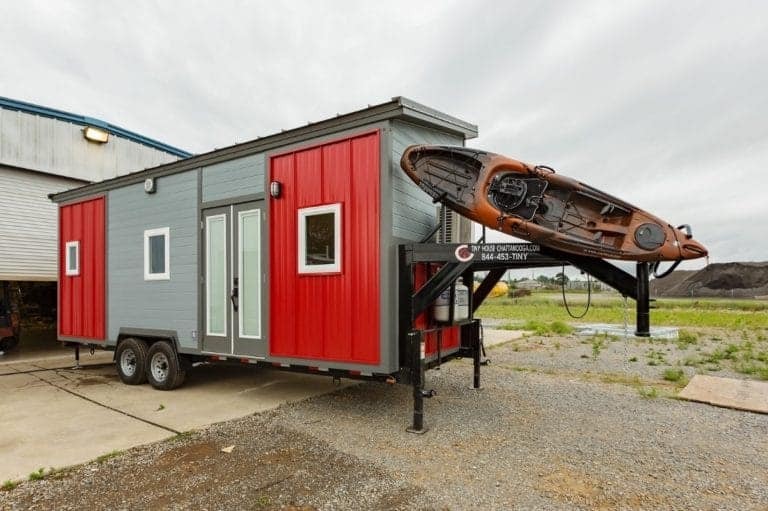 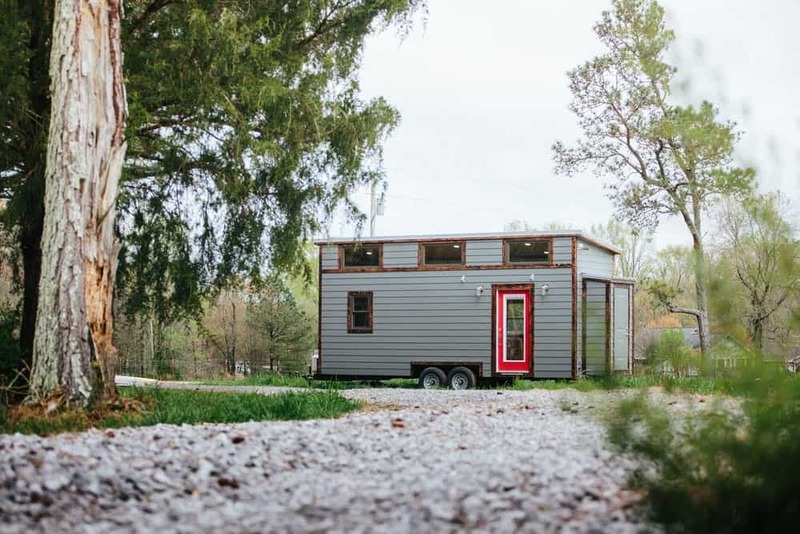 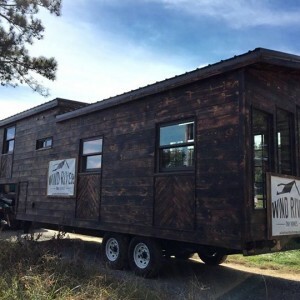 If you like it, there are two ways to get one even if you aren’t near Chattanooga: have Wind River build you a 396-square-foot mini version on a skid, or order complete plans for $795. 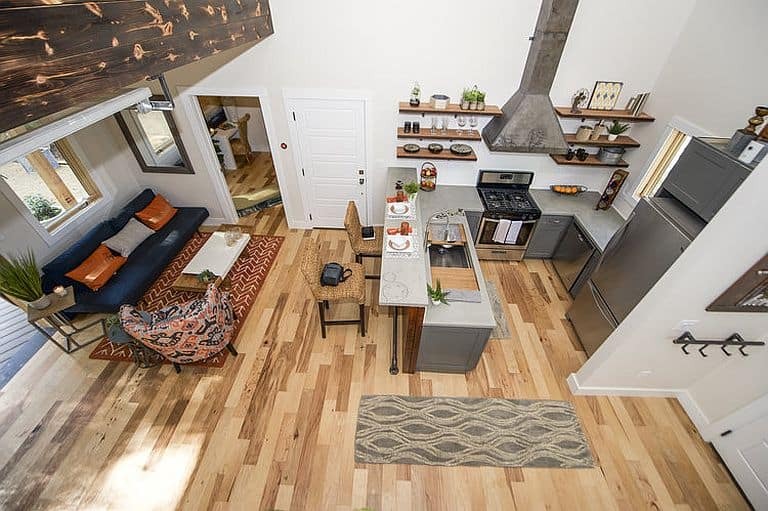 On the bright and sunny main floor, a full kitchen with bar-style seating and a stylish range hood shares space with an open living area. 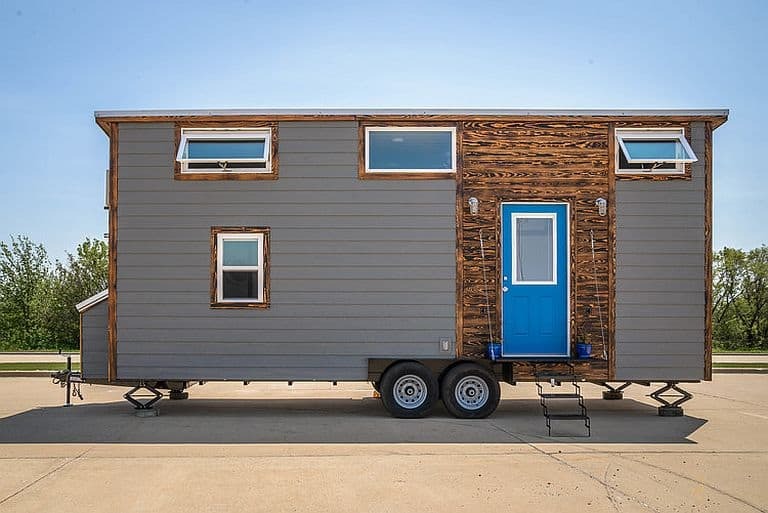 There’s a private home office off to one side. 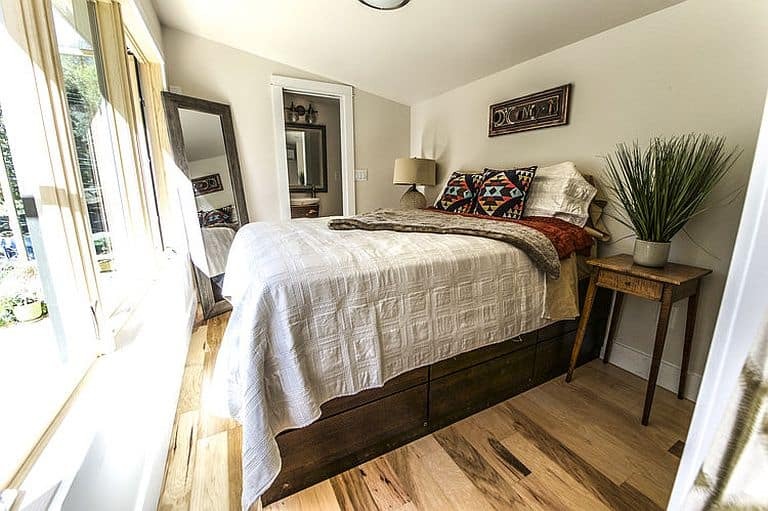 The bedroom at the top of the stairs looks out through huge windows over a covered porch.